12noon-3pm Weekends and every day during the Northumberland School Holidays. Help us create The Fallen Forest this winter at Woodhorn Museum as part of our Coal Forest season. Set in our stunning heritage Tanky Engine Shed, this immersive art installation will shift with the seasons through Autumn, Winter and Spring. 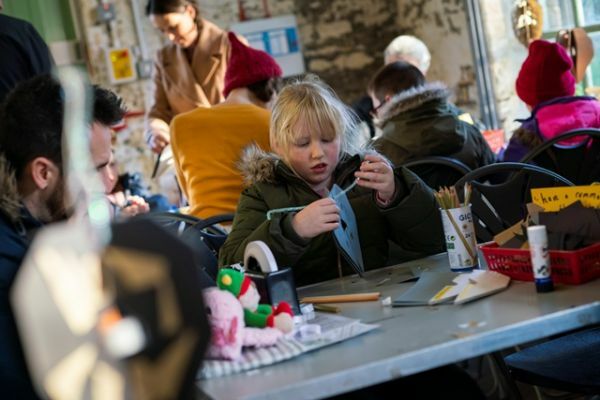 Come along to help artist Bethan Maddocks transform the space, add your own artwork to the installation and create a magical tree-scape, inspired by the carboniferous forest of long ago. Grow in springtime, and add your own artwork inspired by buds, seeds and sprouting ferns as The Fallen Forest bursts into new growth for the new year ahead. Membership is required for entry onto the museum site. Membership Prices for Woodhorn Museum: Adult: £7.00 (Multiple adult purchased at the same time: £6.50). Concession (OAP and student) £6.00 Children 16 and under are admitted free at all Museums Northumberland venues. *Membership is valid for 12 months and includes unlimited return visits.